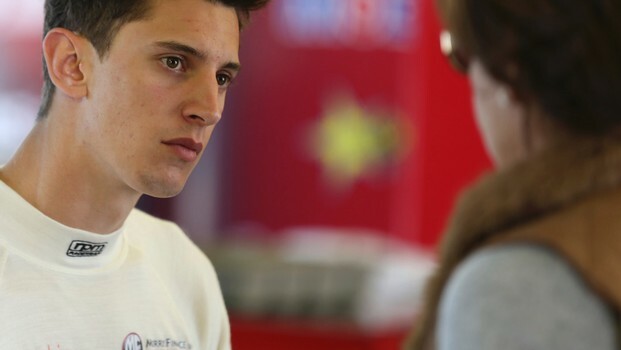 Nick Percat is determined to use his surprise return to the Holden Racing Team with Garth Tander for the PIRTEK Enduro Cup as a springboard into a full-time 2014 V8 Supercars Championship drive. The 24-year old South Australian won the Supercheap Auto Bathurst 1000 at his first attempt with fellow stringbean Tander in a HRT Commodore in 2011, but crashed their car out of contention in 2012, experiencing the Mount Panorama dream and nightmare in consecutive races. Fair or not, the perception was he paid the price for that mistake by being loaned out to Walkinshaw Racing customer Team HIFLEX for the 2013 endurance races, where he would have shared a Commodore VF with Tony D’Alberto at the Sandown 500, Supercheap Auto Bathurst 1000 and the ARMOR ALL Gold Coast 600. Having missed out on a full-time 2013 Championship drive, Percat also headed off to the Carrera Cup with Team BRM and long-time sponsor Coates Hire after running in the Dunlop Development Series for three years, mostly in a Walkinshaw Commodore. In 2012 he topped the DVS win tally with six and finished fourth overall. The three drivers above him in the points – Scott McLaughlin, Scott Pye and Chaz Mostert – all graduated to the main game and McLaughlin and Mostert have won races. 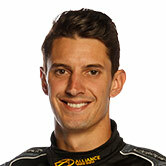 Percat is motivated by their success in pursuing his V8 Supercars Championship ambitions. To join McLaughlin and company in the V8 Supercars Championship, the South Australian knows he must present his case in the PIRTEK Enduro Cup with some strong performances. Percat, who is in the last year of long term contract with Walkinshaw Racing, would like to stay with the Clayton organisation as it re-emerges as a competitive force. To do that and gain a full-time drive would mean taking over the retiring Russell Ingall’s drive in the satellite Supercheap Auto Commodore. Percat only had 24 hours notice that he would be rejoining HRT, having tested the Team HiFlex Commodore on the Friday morning at the Sucrogen Townsville 400. But by the Coates Hire Ipswich 360 he found himself out in practice in Tander’s car. “I only found out the day before the announcement was made,” he said. “I had all my race suits and everything for D’Albertos and I was happy to be there. I didn’t have anything to do with the swap back to HRT, I just got a phone call saying I was driving for them again. And that crash? As far as Percat is concerned it’s done and dusted. 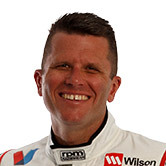 He’s come to terms with it along with Tander, Walkinshaw Racing boss Steve Hallam, his second in command Tony Dowe and the rest of the crew. “Steve, Tony, Garth and everyone else said ‘you are not the first person to crash at Bathurst and you won’t be the last’. They haven’t put any blame on me, it was just how long it took me to get over it. That took me a while because it’s not just the team you let down, it’s the thousands of people who are the fan base of Holden and the team.